Bronze medalist, Juma Miiro(center) was present at the launch. 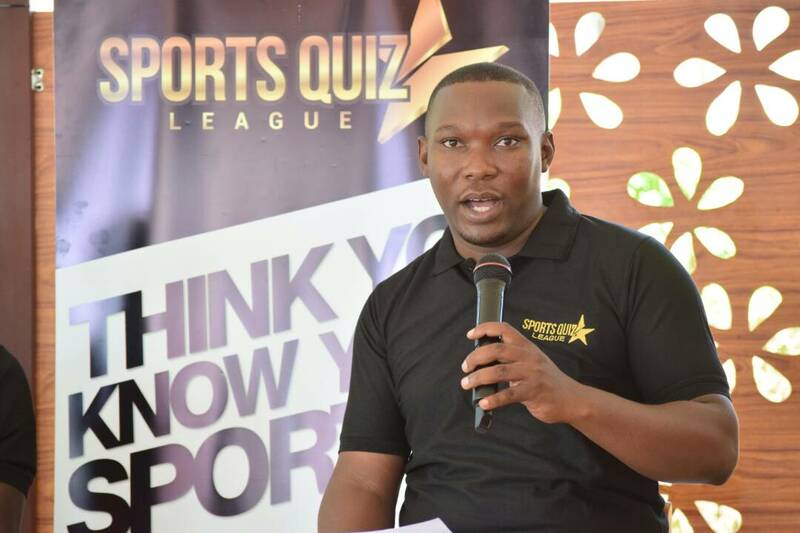 The 2018 sports quiz has been launched on Monday morning, 23-04-2018 at the Rout 256 in Lugogo. This will be the second season II of the quiz which was set up to expand the sports knowledge of sports enthusiasts. Speaking at the launch of the quiz, Leon Ssenyange the organizing head of the event expressed his excitement going into the second season. “This year is going to be very exciting,” said Ssenyange. “The additions to the league are attractable so is the longer period of 6 rounds, bigger prize money and most of all the transfer period. “We even want to see more sports enthusiasts involved, say a doctor, an engineer or even a lawyer. “It is a competition worth taking part in. “We are also keen on seeing partners come on board as the quiz offers a platform to leverage on and partners are very welcome. The organizing head of the quiz, Leon Ssenyange speaking at the launch. This year’s edition will see a league that will run over six rounds from May to October with each month hosting one round. Every month shall have a round winner, complete with prize money and hampers. Unlike last year when up to eight (8) teams took home cash prizes and hampers, these will be limited to only the top three (3) teams this year. Round winners will take a cash prize of UGX 300,000. The first runner-up will walk away with UGX 200,000 while the second runner-up pocketing UGX 100,000. Teams will accumulate points over the six rounds and the team with the most points at the end of October will be declared the 2018 Sports Quiz League Champions. That milestone will come with a cash prize of UGX 2,500,000. The biggest element added to the new season that everyone is very excited about is the mid-season transfer window in July as teams will be allowed to trade members as per the competition regulations that shall be shared in due course. The launch was also graced by Juma Miiro who won a Bronze medal at the just concluded Commonwealth games in Gold Coast, Australia. The number of teams will remain 10 like from last year and they will compete in several questions themed around local and international sports. 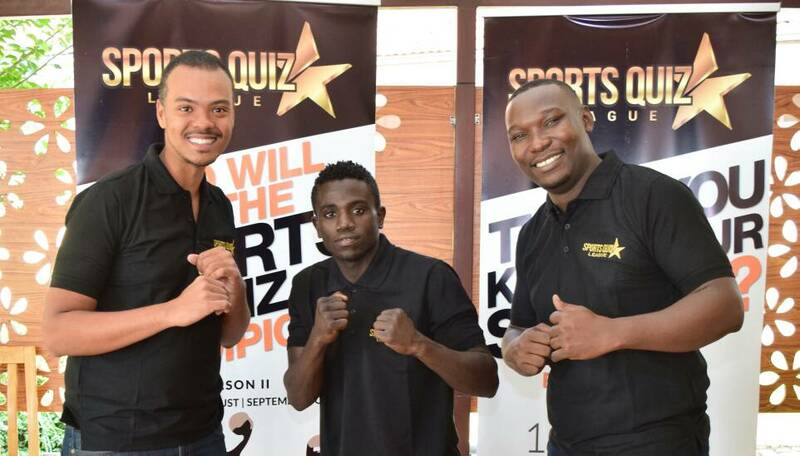 Last year saw ‘the Expendable’ who featured the likes of Ian Mutenda, Deus Bugembe, George Ssenkatuka, Uwizera Douglas and Musisi Kiwanuka crowned the winners of the four months Quiz that began in August and ended late November. BetWay Agusto are the record champions of the quiz having won it on two previous occasions. Last year’s event was sponsored by DSTV and it remains to be seen whether Africa’s biggest pay-tv company will come back on board to light up the second season.